Moral Judgments of Sociometrically Neglected Children Concerning Their Bullying Experiences in the First Grade. Women, Ownership and Access to Land in the Upper East Region of Ghana. The Future of Education and Its Challenges in Africa. 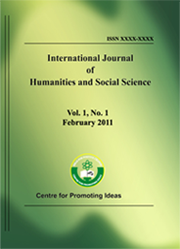 Constructing an Organized and Coherent Text: How Discourse Markers Are Viewed by Iranian Post-Graduate Students?